Buried in Time begins six months after The Journeyman Project ends, as players once again assume the role of time-travelling operative Gage Blackwood (AKA Agent #5) of the Temporal Security Agency. The nonlinear storyline moves through seven intensely researched, finely detailed worlds as Agent #5 gathers evidence to refute charges that he altered history. Buried in Time's intriguing worlds include Mayan catacombs, Leonardo da Vinci's laboratory, and an actual medieval castle, as well as several high-tech futuristic settings such as a derelict space station. Presto Studios had an ambitious goal for Buried in Time: to create a total cinematic experience for game players, with a complex, yet logically consistent, story that unfolds like a movie. Presto began creating Buried in Time with a full five months of script development by professional writer David Flanagan; Michel Kripalani, president of Presto and the project's director and producer; and Phil Saunders, creative director and industrial/conceptual designer. When the writing was complete, Saunders - who designed Nissan automobiles by day even as he created fanciful game worlds by night - applied his industrial and conceptual design expertise to the story's visuals. 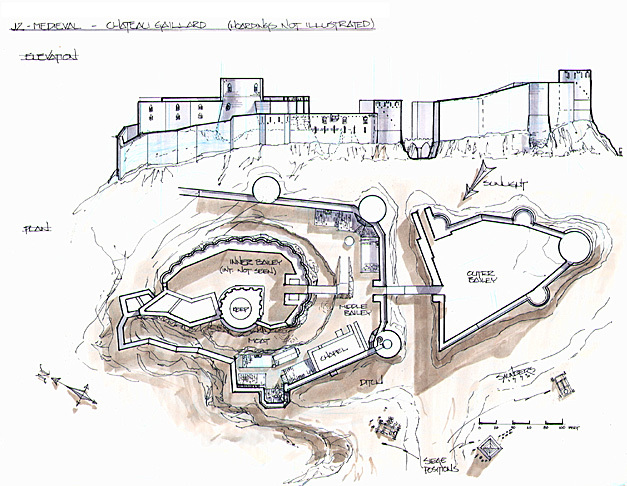 The design team envisioned and diagrammed all of the worlds of Buried in Time. To bring the historical worlds back to life, Saunders researched them to excess. 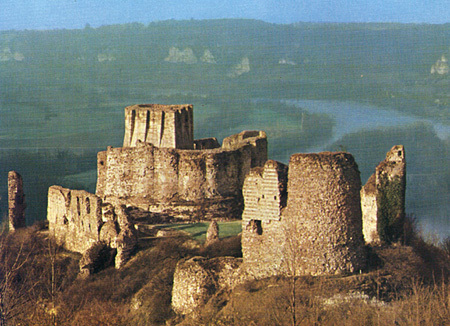 For instance, the medieval castle in the story is based on the actual 13th century stronghold of Richard the Lionheart. The actual castle, built in 1197, was destroyed, but Saunders found books about the castle and recreated it, brick by brick, through his sketches. For the futuristic environments, pure imagination replaced diligent research. 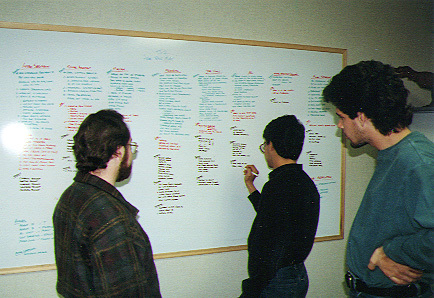 By the time the game was finished, the design team had hand-drawn over 500 sketches. 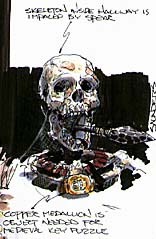 Using the hand-drawn designs for reference, Presto engineers created computerized 3D models for each environment, including each detailed, researched object inhabiting that world. Next, they made texture maps for every surface on every object in the models. A 3D artist took the textured models and assembled all the objects in a single environment, registering each object precisely. For instance, the artist made sure that walls, chairs, tables and items on the tables lined up correctly, then added realistic lighting for the room. Finally, the finished scenes were 'rendered,' or drawn, by the computer, which made millions of calculations to simulate the effects of lighting, reflections, and so-forth on every item in the scene. There are more than 25,000 frames of animation in the game, each of which took approximately 20 minutes to render. Against these computer-generated "sets" move the story's characters: knights, guards, alien beings, and other temporal agents, among others. For Buried in Time, Presto enlisted professional actors and Hollywood-caliber costumes. 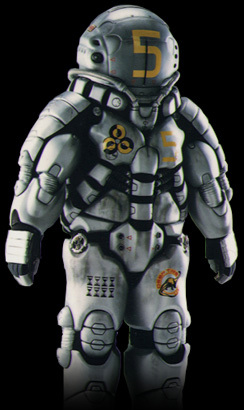 In particular, Presto turned to All Effects Group, a special-effects company for the film industry, to build a vacuform plastic biosuit worn by the actors as they portrayed time-traveling temporal agents in the story (in the story, technology embedded in the biosuit allows the agents to travel to the future and back in time). One of the actresses in Buried in Time is Michelle Scarabelli, whose credits including the role of the mother in Alien Nation and Data's girlfriend in Star Trek: The Next Generation. Costumed actors were filmed against a blue "chroma" screen, a common video technique that allows the blue background to be filled later with another background, in this case one of the Buried in Time worlds. In combining computer generated backgrounds with video footage, Presto faced the huge technical challenge of integrating the two techniques into a single, visually believable environment. They had to precisely match the camera angles, perspective, and lighting for the two disparate techniques to make the final product look seamless. 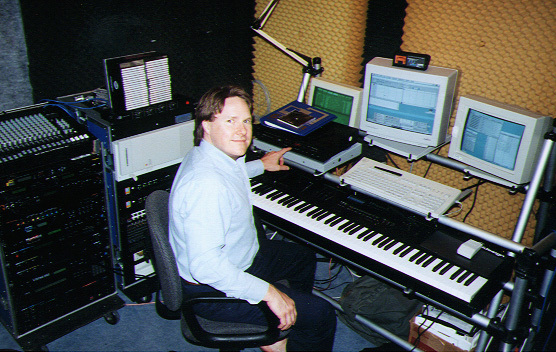 Foley (sound effects) and a professional music score were next added to the game by musician Bob Stewart. The process of creating the sound-effects involved spending a great deal of time editing and recording effects, playing them in sequence with the video, and then re-editing them to fit the animation as closely as possible. Bob's goal was to create effects that were so accurate as to be transparent - as if the sounds were coming from the computer-generated images themselves. His music and sound-effects added the touches of drama and realism that were needed to make Buried in Time a classic of the sci-fi adventure genre. Finally, all of the video, animation, and audio resources were brought together, and the game's code was programmed. On the Macintosh, Buried in Time's shell was programmed using Macromedia's Director version 4.0. On the PC side, it was programmed entirely in C++. Programming held some unique challenges of its own, such as accounting for all of the possible comments that Arthur (the player's AI sidekick) could say at any given moment. The programming team accomplished this by tracking the player's progress and marking certain milestones in a table. This table would then be checked every time the player moved to see if Arthur had something to say. After several grueling weeks of beta-testing, the programming staff had the bugs worked out of their code, and Buried in Time was ready to ship. The final Buried in Time product combines stunning photorealism with a compelling story worthy of a page-turning science fiction novel. Presto used computer technology and film techniques not as extraneous punctuation, but to support and enhance the quality of its storytelling and give players a memorable adventure game experience.